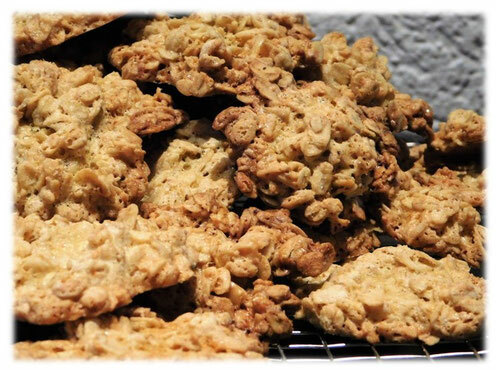 I feel home-baked cookies always taste the best. 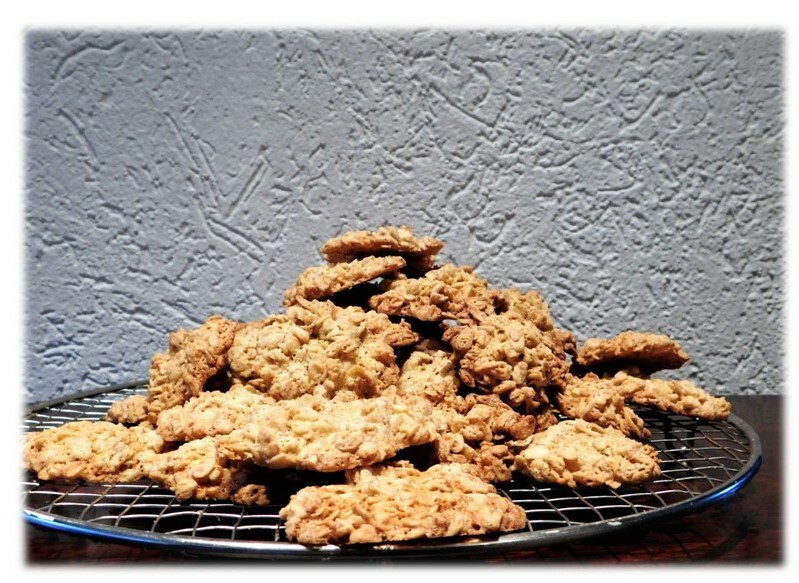 To avoid to fall back on processed cookies, I always look out for recipes which are not too time-consuming. 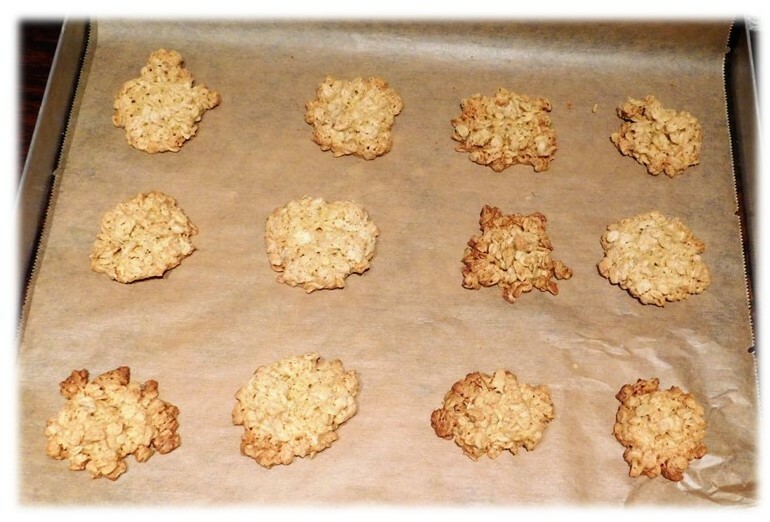 Today's Rolled Oats Cookies belong in this quick and easy preparation category. So let's dive right in. 1. Boil up butter until foamy, then stir in the oat flakes and let it cool down. 2. Beat eggs, sugar, vanilla sugar and a pinch of salt until frothy. Mix flour and baking powder and stir in frothy mixture. Finally, fold with oat flakes mix using a wooden spoon. 3. 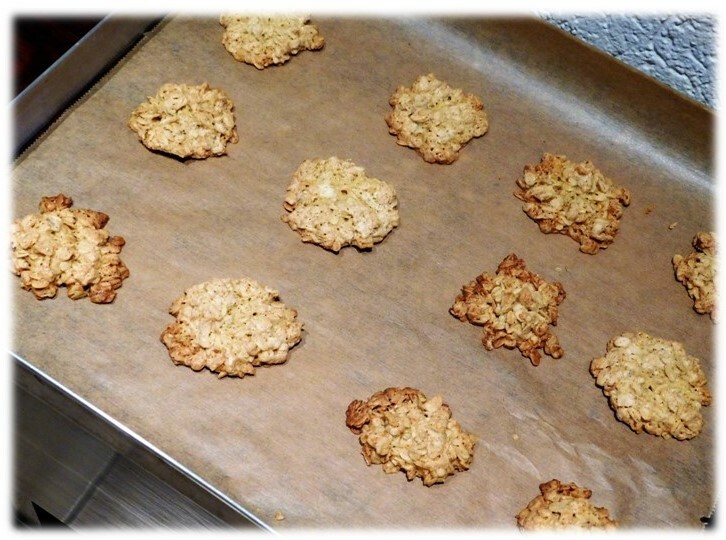 Use 2 tablespoons to place small heaps of the oat flakes mix onto the baking paper. 4. Bake at 170°C for about 20 min. 5. Let the cookies cool completely and then remove carefully from the baking paper. Let me know if you gave it a try. If so, enjoy! Ich habe die Plätzchen ausprobiert. Schmecken ganz lecker und sind schnell gebacken. Meine Gäste waren begeistert. Danke.